Procedural text looks so easy, doesn't it? Short sentences, nice numbered steps...it seems like it shouldn't pose any comprehension problems. But as anyone who has ever tried to follow directions written by a state department of education knows, easy looks can be deceiving. And helping students to understand procedural text isn't always easy, either. What do we know about procedural text? Reading to perform a task often results in more developed comprehension than reading with the goal of answering questions or writing a summary (Geiger and Millis, 2004). This isn't surprising to those who have tried to commit a set of directions to memory--when you know that you'll have to follow directions, you're much more likely to put forth the mental effort to visualize and understand each step. However, think about how this impacts students when they read on standardized tests. They know that they won't be following these directions...and reading procedural text without the goal of making or doing is really dull. For the classroom, this means that we need to give students opportunities to read and follow directions in procedural texts. 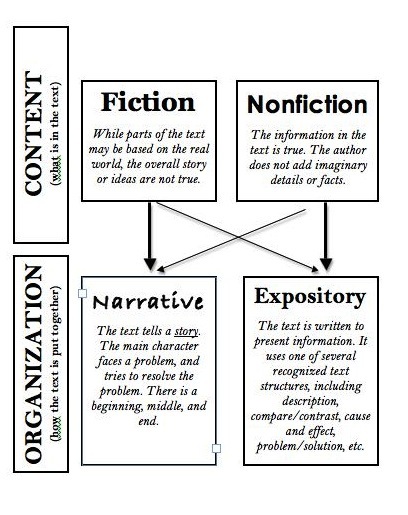 Once students have strong representations of what a reader needs to understand to follow directions, then we can slide this understanding over to reading for inauthentic purposes. Here are some things that I keep in mind to help students work with procedural texts. At first, I always used numbered lists. But now I vary the styles to mirror what kids are likely to see in other contexts. Sometimes I use bullets, and sometimes I even write the directions as a narrative. (First, you will....Then, remember to...) Kids do critique me on my steps, and sometimes suggest that I add or change things. ("You forgot to put in where we have to find our partners") I love it when this happens! One of my favorite winter activities is gathering various directions for making paper snowflakes, and then reading and trying to follow them. It's so interesting to look at how different authors have dealt with explaining a set of difficult directions. Other interesting directions to look at include making ice cream in a zip-top bag, making book covers, and sprouting avocado pits. Students like to see behind the curtain of teaching. When I teach new games from directions or try out something new, I show students the procedural texts that I am using and talk through my frustrations. (This was especially fun when I was learning to use my new Promethean board!) Even something as simple as the directions for how to line up for class photos can be a teaching tool. And, when I've shared the directions with the students, I'm more likely to remember them myself. -Can you find the specific word that you don't understand? -Which step is a problem for you? -What do you think you should do next? I've realized that I am more likely to become an explainer if I'm worried about materials. If I have enough materials for kids to start over if they mess up, then I can be comfortable with letting them feel their way through the directions. I could write down all of the times that I have failed at following procedural text...but I don't think there is enough room. We've all made mistakes, whether it's not looking at the list of directions, skipping steps, forgetting ingredients, or misinterpreting a step. I have learned so much from my mistakes with procedural texts! In the classroom, I can sometimes feel frustrated when students haven't followed directions. But I've learned to push back that frustration (not always easy!). Epic and funny mistakes become part of our classroom lore. When a student making ice cream accidentally added the salt to the milk, this became a class cautionary tale, a story that the student enjoyed telling. One of the problems with teaching text structure is finding the right texts. 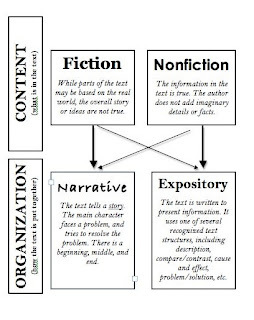 As I think about what books or articles to use with my students, I'm always thinking about levels, topics, and structure. Which do I consider first? What's most important? When I'm teaching text structure, of course, the structure is most important. For problem and solution, I like to use texts that are very explicit, using the words "problem" and "solution", as well as texts that are more subtle. Real world problem and solution texts often do not use these clear transition words, and I like to show students how this works. Once I have the structure, I have topic and level to worry about. I work in a pretty broad range of levels. After all, background knowledge has a huge impact on expository text comprehension. If I can give my readers rich background knowledge and strong pre-reading activities, they have a better chance of being able to understand the texts that I find. 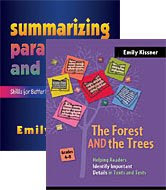 I like to use a pretty comfortable and easy text for whole-group reading, and then some more challenging texts for small groups. What about topic? I hate it when we are all reading about different topics in guided reading. This just feels so fragmented! But sometimes it just can't be helped--after all, I don't have a staff of writers on demand. (Wouldn't that be wonderful?) To help us make connections throughout the year, I try to find texts with topics that relate to science or social studies units for our grade level. Some of the texts may look familiar to those of you who have my former pack of Text Structure Resources--the James River Ferry, Rain Gardens, and Salamander Crossing. But each has new activities and graphic organizers to accompany them. 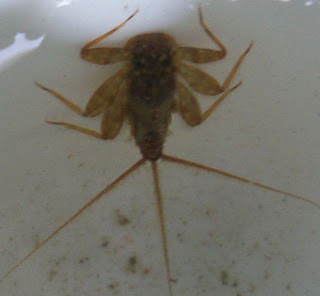 My very favorite text is about stream study with the biotic index--it was interesting to write about how the biotic index really does solve a scientific problem. 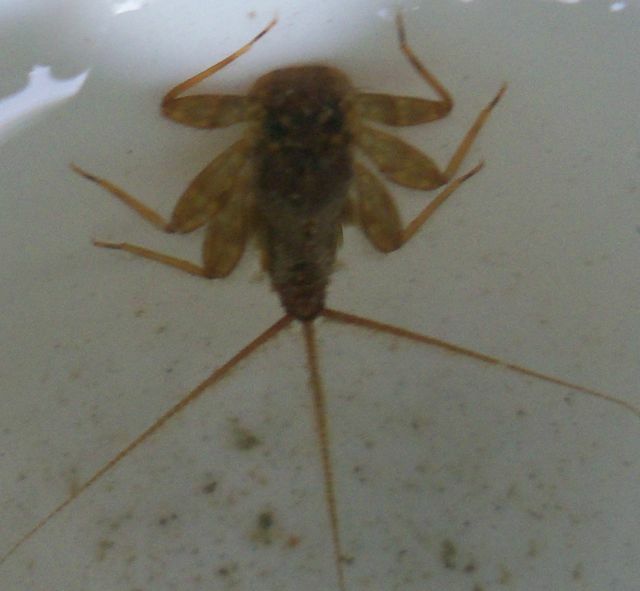 And I got to use the cool mayfly picture that I took during stream study last week! I love to teach visualizing. After all, there is a whole chapter about it in my book The Forest AND the Trees! It doesn't really work to tell nine-year-olds, "You need to read at the level of your situation model." But when I tell them, "Let's try to use the details to make a picture in our minds," something clicks. They understand how to make mental models. This gets them to that deeper level of reading that's so hard to describe for young readers. But not all readers visualize in the same way. This makes teaching visualizing even more fascinating--when we talk about what we visualize, we realize how dependent we are on our background knowledge and experiences. As a teacher, I have come to a new appreciation of how the texts and stories I share become situated in students' schemas. Consider what happened last week when I asked a student to visualize "a green tractor in a birthday hat." "I thought of the book we read yesterday," the student said. "The one with the robin." This threw me for a loop. How would a book about a robin relate to a mental image of "a green tractor in a birthday hat"? But then the student reached behind me to get the book I Am Going! by Mo Willems. He turned to the page that had Elephant wearing a funny hat--a hat that happened to have a picture of the ubiquitous Pigeon from Don't Let the Pigeon Ride the Bus. "See?" he said. "I pictured the tractor wearing a hat like that. It was funny." This is the power of talking about visualizing--this student was able to trace how he used a mental image from a previous book to create a new mental image. This is also the power of sharing great books and background experiences with children on a regular basis! The experiences we share today will become the visualizations of tomorrow. It turned out to be over 75 pages long--enough to get anyone started with spelling for the 2011-2012 school year. Enjoy!